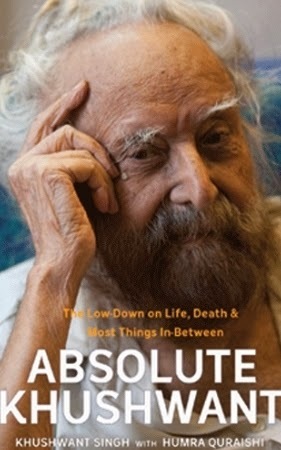 Sardar Khushwant Singh, once the young and struggling Sikh lawyer in the legendary Lahore – now batting at a dazzling score of 98 of an eventful life – indeed personifies an epochal transformation of himself over the many years as India’s most popular ‘money-spinner’ ‘author in English’. He has successfully worn an amazing variety of colourful turbans of being a novelist, historian, journalist, translator and, above all, ‘not a nice man to know’ who has always believed, with a childlike genius for mischief, in spreading the laughter all over the planet ‘at all costs and even high risks’. He has attained - with a devil’s diligence and an ascetic’s discipline - as an author the exalted stature of a ‘living human monument’ in the capital of Hindustan. He has been hailed as a wizardly-literary- monarch gifted with a rare impulse to feel the pulse of his vast empire of readership-cutting across all divides of age, gender, religion and international borders. The countless souls in India and abroad wonder - and pray too - whether he is destined to celebrate his so richly deserved century of life with the Nobel Prize for Literature - almost a century later than RN Tagore! Khushwant - even with his two sets of dates of birth of different years - happens to be several years senior to my poor but scholarly father who had passed away in 1978. I can vividly recall how I was introduced to Khushwant in the 1st year of my college in 1959 by Shri A B (Arun Barun) Shome, a young and bachelor (soon to fall in love with a well-endowed Punjabi lady) teacher with an MA degree who had joined the High School in our small town, 20 KM from Ludhiana. He, a studious Bengali and I, a fresh collegiate, became quite friendly. Shri Shome had kindly suggested to me a reading list of books - novels and short stories - in English authored by the Indians. I recall that the names of Bhabani Bhattacharya, Mulk Raj Anand, Kamla Markandaya, RK Narayan and Khushwant Singh. I was soon able to obtain Train to Pakistan (1956) issued from the College Library and read it with a deep sense of awe, wonder and intimacy. I was then a daily commuting student from Ahmedgarh to Malerkotla and impressions of anecdotes of blood shed of innocent passengers in trains - to and from Pakistan - seemed still smelling in the air of Punjab. I had read some stories of the saddest and shameful spectacle of partition by Krishan Chander (Ham Vahshi Hai - We are Barbarians) and several other writers of Punjabi and Hindi. The Train to Pakistan, however, had left a uniquely lasting impression on my teen age mind. Being a student of the non-English medium school, the book made me familiar with a vastly new range of vocabulary and tons of tragi-funny usages! I had particularly shared with friends the translation of a popular film song - “In the breeze is flying, my veil of red muslin, o sir, o Sir…” and many typically naughty-including four-letter Punjabi expressions rendered into English. I have ever since been a dedicated - though at times a grudging and a protesting one too - reader of the inimitably thought provocative writings of Khushwant Singh. 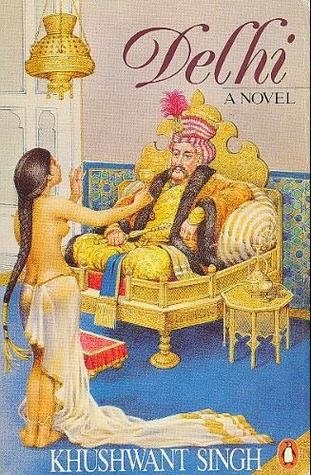 Another book in English by an Indian author which I had immensely enjoyed reading soon after - in the summer of 1960 - was Khawaja Ahmed Abbas’s semi fictional autobiography titled, ‘Inquilab’. 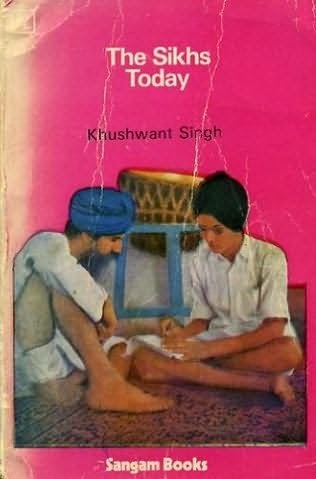 The Sikhs Today (1959) by Khushwant Singh, an attractively produced slim book with photographs of eminent Sikhs, was a very interesting and informative reading for me - particularly for the explosive foreboding that the symbols of Sikh identity might not last more than a few decades. 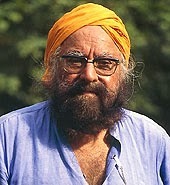 During the next several years of my higher studies and till my entry into the Indian Foreign Service in 1971, I was more intensely occupied with the subjects of the curriculum but always enjoyed Khushwant Singh’s journalistic writings /columns particularly in The Illustrated Weekly and later the two national dailies, The National Herald and Hindustan Times. Khushwant Singh’s proximity with Indira Gandhi’s government and particularly his support of Sanjay Gandhi and the infamous Emergency earned him the title of ‘Khushamad’ - flatterer/sycophant - Singh. He had been awarded Padma Bhushan in 1974 and was also made a member of the Rajya Sabha for the term of 1980-86. The decade’s long extremist violence in Punjab witnessed Khushwant Singh taking a bold stand against perpetrators of communal violence. He wielded his powerful pen to voice reason and secular values and had to be provided security by the government against the hot headed of his own beloved community! 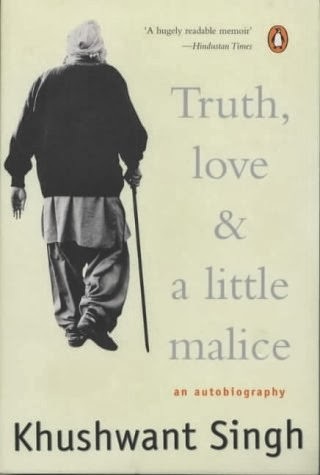 Khushwant’s long-awaited autobiography titled Truth, Love and a Little Malice (2002) had remained mired for years in legal injunction obtained by the once protégé and friend Maneka Gandhi against its publication ‘for invasion on her privacy.’ “No autobiography”, according to erudite author-columnist Dilip Bobb, “has been awaited with as much tongue-hanging anticipation.” I rushed to obtain a copy of it while posted in New Zealand, and most interestingly, had read some of its chapters in the same room of the enchantingly located elegant home of Barrister Santokh Singh Bhullar in Tamaranui where Khushwant Singh had also stayed a few years earlier! The book was indeed a deep delight, great instruction and a sort of emotionally cathartic experience for me. After finishing the book, I tried to ponder over the years of my own life. I felt that every one’s life has its own riddles of plus-minus; multiplication-division and various kind of brackets - and one has to struggle to solve one’s own particular problems of the ever evolving body and calls of the mysteriously invisible soul too. I am inclined to agree with Dilip that the best parts of the book are the accounts of his early life, ‘as a pampered son of a prominent, affluent father…’ Interestingly, German Ambassador Riedler in New Zealand, my friend since our postings together in Pakistan and Panama, was a voracious reader of Khushwant and was immensely delighted to receive the gift of ‘Delhi’ from me! In my years of retirement since 2004, I have been meticulously looking for reading Khushwant’s articles. 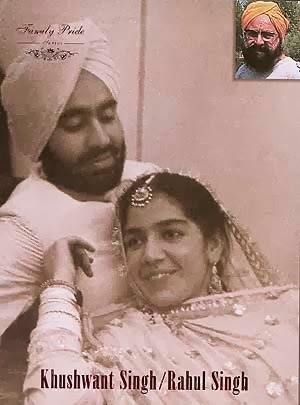 I have enjoyed reading Rahul Singh’s, ‘Khushwant Singh - In the Name of the Father’ (2004) containing rare old family photos, published by Roli Books, in the Family Pride Series. Rahul details many intimately touching aspects of the personality of his father. He describes how Khushwant had tried to keep in touch with his Muslim friends in Pakistan and that brilliant Barrister Manzur Qadir and Mrs Asghari Qadir were his parents’ dearest friends. It is mentioned that Khushwant had ‘managed’ to pass BA from the Government College, Lahore in the third division and, therefore, did not qualify for admission in Oxford or Cambridge - “So, the choice fell on the King’s College, London University, where he enrolled for an L.L.B. 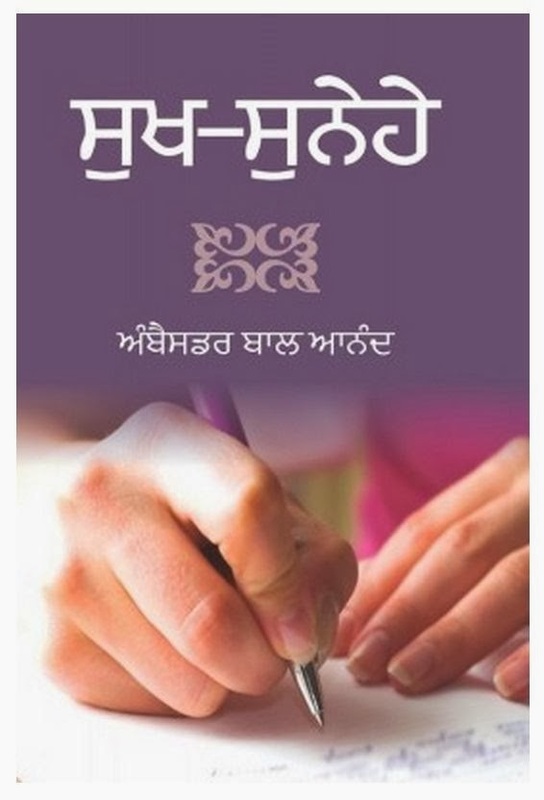 while applying for admission to the Inner Temple to qualify as a barrister.” Rahul, like his father, has no hesitation in writing, “Mangat Rai (E.N., ICS) was enamoured of my mother even after he married Champa… There was a time when my mother seriously considered leaving my father and marrying Mangat Rai. 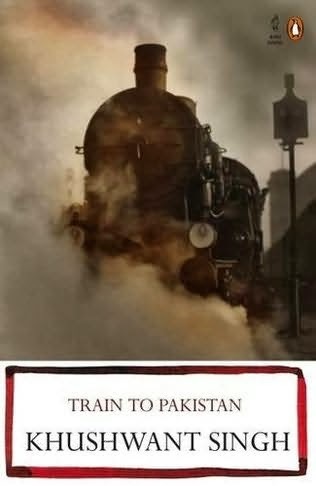 But, perhaps, because of the trauma it would cause my sister and me, they held back.” Rahul confesses that, “Delhi and The Company of Women got such scathing reviews that I decided not to read them… though both became best-sellers.” Rahul opines that Train to Pakistan remains to date his father’s finest work of fiction while in the two-volume A History of the Sikhs, Khushwant is at his scholarly best. My life-time ‘Khushwant - moment’ was destined to come, expectedly - where else, but in Pakistan in November 1993. Manzur Qadir’s son, Basharat and his wife Bambi had become our kind friends during posting to Islamabad. They had hosted an intimate dinner in honour of Khushwant Singh at their home - No.14, Street 37, F-7 / 1. I was seated with Khushwant and Begum Asghari Qadir and enjoyed intently listening to their conversation replete with references to their shared great pre-partition times in bubbling Lahore. Khushwant had to repeat himself and speak louder because Begum Ashgari had become audio-challenged. I could obtain Khushwant Singh’s autograph on the invitation card - it has been carefully preserved as a rare memento. Bagh-e-bahisht se mujhe hukm-e-safar diya the kyon? Kaar-e-jahaan daraaz hai, ab mera intezar kar. Why did you order me out of the garden of paradise? I have a lot left to do; now you wait for me. Zindabaad, Sardar Sahib - Long live, Sir!